Full size kabuki buffer. 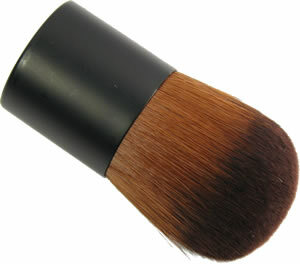 This brush provides for the perfect application of our Mineral Foundations. Brush height is approximately 2 1/2 inches with a 1 3/4 inch wide brush head.